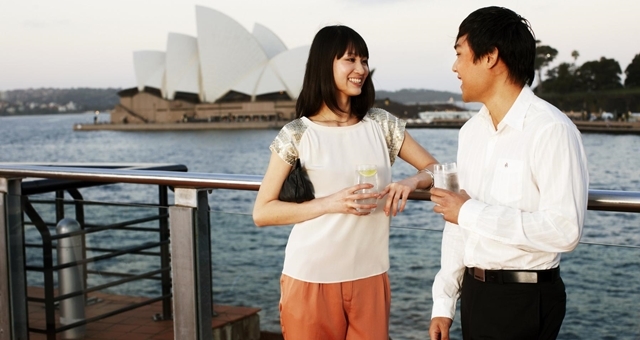 Spending by Chinese tourists has reached a new record in Australia, exceeding $10 billion for the first time. Australia’s Minister for Trade, Tourism and Investment, Steven Ciobo, said the IVS revealed a record $41.2 billion was spent in Australia by more than eight million international visitors during the record 268 million nights they stayed during the year ending September 2017. “This strong growth is being led by key Asian markets including China, India, Hong Kong, Malaysia and Japan,” he said. “During the past 12 months Australia welcomed 1.33 million Chinese visitors, just shy of our largest arrivals market of New Zealand with 1.35 million. “The Turnbull Coalition Government is working to maximise the potential of China – Australia’s fastest growing and most valuable inbound tourism market – to create new Australian jobs. “The 2017 China-Australia Year of Tourism, an open capacity aviation agreement with China and significant visa reform, have contributed to the 13 per cent growth in spend by Chinese visitors. This will continue to grow with eight new aviation routes between China and Australia planned for the next 12 months. “Another market that has seen consistent growth is the United States, with visitors and spending both growing by 40 percent over the last three years. “Youth travellers to Australia are also growing strongly with a 10 per cent increase in spend in the year ending September 2017. Tourism Australia, through their Aussie News Today campaign, will continue to grow this important sector that makes up 46 per cent of all international spend. “Spending by international visitors remains strong across the states and territories with Tasmania seeing a 33 per cent increase and ACT a 27 per cent increase in the year ending September 2017. “During the past four years spending by international visitors has increased by 46 per cent as the Coalition has delivered record funding to Tourism Australia,” Ciobo said. The IVS, by Tourism Research Australia, is available at: www.tra.gov.au.